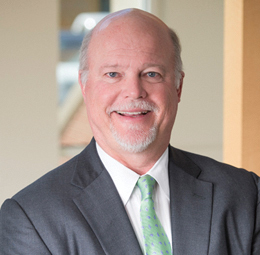 Since 1983, Tommy Siler has concentrated his practice in the representation of management in labor and employment law matters, and defending governmental entities in civil rights cases. His practice includes multiple party or class action matters involving a wide array of employment issues. In more than 30 years of practice, Tommy has maintained an active trial practice including numerous jury trials and arbitrations regarding the interpretation of collective bargaining agreements. He has represented employers in Title VII, ADEA, ADA, FLSA, FMLA, OSHA and ERISA cases, as well as in cases involving the NLRA and LMRA. He has also litigated a variety of cases arising under the U.S. Constitution. In addition to an active litigation practice, he manages union campaigns, conducts contract negotiations, represents companies before the NLRB and handles the administration of collective bargaining issues. Tommy is the managing partner of the Jackson office and the practice coordinator of the Jackson labor and employment group. Representation of one of the world’s largest auto manufacturers in a case involving NLRA and ERISA preemption. The case involved more than 120 employees who voluntarily elected severance pay, but sued when market conditions improved and the employer began re-hiring several years later and refused to rehire the plaintiffs. Representation of a sporting goods manufacturer in a multi-party case involving alleged race discrimination. Representation of one of the world’s leading manufacturers and marketers of wood and paper products in an age discrimination case involving two high ranking management officials who claimed they were selected for a reduction-in-force because of their age.